Why Is a Safe Republican California Seat the Most Expensive House Race in the Country? Let’s be clear: While it’s possible that a "blue wave" is gaining momentum in California, it’s not likely to make landfall in the 22nd Congressional District in the San Joaquin Valley. Polling shows Republican incumbent Devin Nunes is likely to win, but that hasn't stopped the battle for his seat from becoming the most expensive House race in the country this fall, if funding from outside groups is excluded, according to the Center for Responsive Politics. Nunes has raised an eye-popping $10.5 million. His Democratic challenger, Fresno prosecutor Andrew Janz, hasn’t fared poorly either, bringing in $7.2 million. And they’re not done yet. 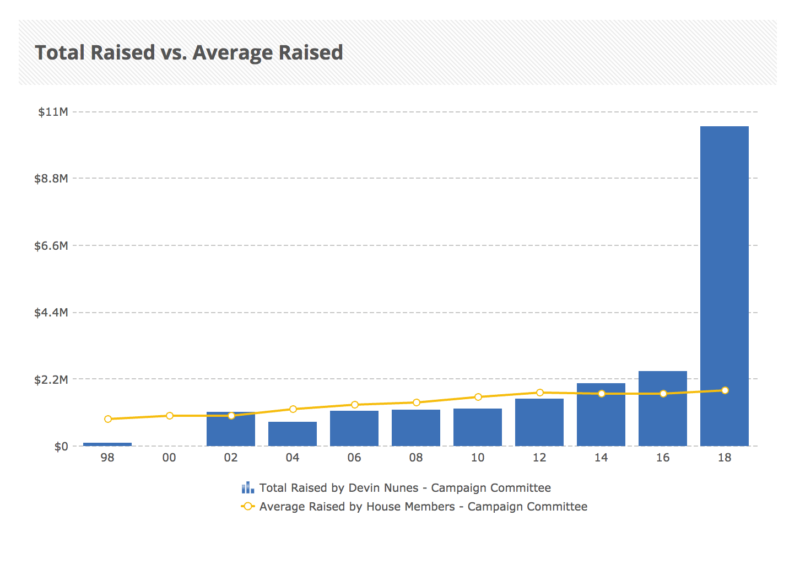 It’s also stunning to see how much more Nunes has raised this year compared to previous years. His 2018 total-to-date is nearly five times as much as he raised in 2016. The Russia stuff (or “The Russia Conspiracy” as one Nunes supporter I met calls it) is important. But so are several other issues that affect Nunes’ constituents in a very personal way. Here are the big ones in the district: poverty, illiteracy, water contamination, water allocation, and the impact of Trump’s trade wars on farmers whom Nunes represents. Many of these topics are admittedly less exciting than Russia, and that applies to news consumers of all political stripes. And it helps explain the torrent of money that’s descended on 22nd District. “It’s sad what’s happened in this country when you have so many Americans think that the Russians have the President of the United States captive and members of Congress captive. 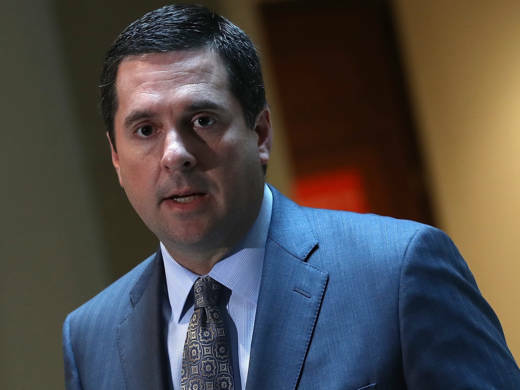 It’s just bizarre behavior, but they are willing to open up their checkbooks and write checks,” Nunes told Fox 26 in an interview posted on Oct. 17. The California Report has repeatedly requested interviews with Nunes, but he has so far declined to speak with us.